On disk 1, Susan shares with you three of her best and highly instructional games on how a grandmaster thinks, reasons and approaches each move. This DVD will help you to take these easy to follow ideals and principles and apply them to your own games. On disk 2, the Polgar sisters Susan, Sofia and Judit, along with their parents give their first public appearance in over 10 years. 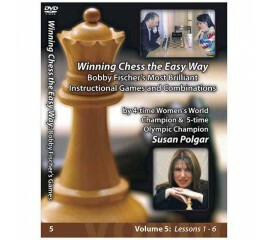 On this 3 Part DVD series, Susan Polgar will share with you her experiences, exciting battles, and won games from the first opening she ever learned at the early age of 4. Although the French can be complex, the main benefit is there are not many long and forceful lines compared to other openings. It is always nice to win a game quickly. But some opening traps are based only on hopes that the opponent will make a serious mistake. If the opponents play correctly, the trap could backfire. 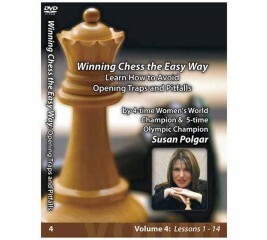 On this DVD Susan will take you through a number of opening traps & short games. It is Essential to know how to play and win your Endgames. In fact, the Endgames are more essential to learn than Openings. In Lesson 1 of this DVD, Susan will cover all the essential Rook Endgames, including: Rook vs. one Pawn, Rook vs. two connected Pawns, Rook vs. Bishop, Rook vs. Knight, the Philidor and Lucena positions, Multi-pawn Endgames, Rook and Bishop vs. Rook, Rook vs one Pawn and two Pawns, Rook vs. Bishop, and Rook and Pawn vs. Rook. Planning in chess is essential throughout the entire game. On this DVD, Susan will teach you the general ideas and concepts for short and long term planning in the opening, middle and endgame. You will come away with a better understanding and insight on all three phases of a chess game. Your moves will have more meaning and purpose, which will result in more wins. So, sit back and let Susan teach you the foundation of essential chess planning. On this 3 Part DVD series Susan Polgar will share with you her experiences, exciting battles, and won games from the first opening she ever learned at the early age of 4. Although the French can be complex, the main benefit is there are not many long and forceful lines compared to other openings. Susan Polgar's Winning Chess The Easy Way: Essential Endgames for the Intermediate to Advanced Players (Volume 10) - will bring you to the next level on your way to mastering the Endgame. 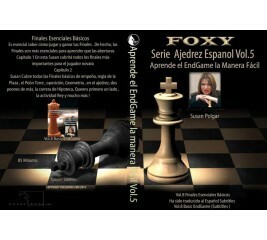 This is a great follow up DVD to Volumes 8 and 9 (Essential basic Endgames Part 1 and 2). Susan will teach you how to play and win the more difficult Pawn, Rook, Bishop, Knight, and Queen Endgames. On disk 1, Susan shares with you three of her best and highly instructional games on how a grandmaster thinks, reasons and approaches each move. This DVD will help you to take these easy to follow ideals and principles and apply them to your own games. On disk 2, the Polgar sisters Susan, Sofia and Judit, along with their parents give their first public appearance in over 10 years.